The following Master's Thesis are in order of LAST name. Filipino Amerasians in Olongapo, Philippines: a study in politics, identity, and imperial discourse. Satanas: ethnography of a Filipino American street brotherhood in Los Angeles . In search of "Meaning": collective memory and identity in Pilipino Cultural Night at UCLA. Intergenerational succession in Asian American businesses: focus on the Korean American second generation. Filipino American poetics: roots, adaptations, and current state. Uchinanchu at heart: the persistence of Okinawan identity in Hawaii . Japanese Canadians in Toronto : assimilation in the history of a community 1940-1965. Home means Nevada : the Chinese in Winnemucca , Nevada , 1870-1950, a narrative history. Walnut Grove: Japanese farm community in the Sacramento River Delta, 1892-1942. Korean adoptees: colonial legacies, transformative possibilities. Returns and resistant rearticulations: Asian American Studies, Carlos Bulosan, and our long memory. Asian Pacific American entrepreneurship and community economic development. The politics of the Korean community in Los Angeles : Kwangju uprising and its impact. Lessons of tolerance: ethnicity, the local and affirmative action in Hawai'i . Korean churches in Los Angeles metropolis in relation to present status and future prospects. Queer Asian American male body and desire: HIV/AIDS and Asian American cultural politics. Remembering the Asian American Movement: Asian American views of the state. The Korean Brazilians: a people in transition. Summary report: Asian Pacific American entrepreneurship and community economic development. A study of new social movement: in the case of the Coalition against Military Sexual Slavery by Japan (CAMSS) in Los Angeles . The Ise and the Korean independence movement: balancing between social reality and social goals. Japan-born Koreans in the U.S. : their experiences in Japan and the U.S.
God in the details: an ethnographic study of Filipino-American Pentecostals. Filipina nurses--voices of struggle and determination. An unfinished agenda: Filipino immigrant workers in the era of McCarthyism: a case study of Cannery Workers and Farm Laborers Union , 1948-1955. Voices of home: transnational perspectives of Filipino American World War II veterans. Intermarriage & Evergreen Baptist Church of Los Angeles. The rise and fall of the Filipino Town campaign in Los Angeles : a study in Filipino American leadership. The nightchildren: tales of Saud/ade. The Asian Pacific Student Union (APSU) and the 1987 march on Sacramento for education. The development of the Chinese-Vietnamese community in San Francisco, 1980-1988. Broken portraits: the dilemma of Chinese student leaders in the U.S. after the Tiananmen Square incident. "Better Americans in a Greater America ? ": Japanese American education, occupation & income, 1940-1960. Resettled People, Unsettled Lives: Community Rebuilding Among Japanese Americans of the West Los Angeles United Methodist Church, 1945-1965. Truckee's Chinese community: from coexistence to disintegration, 1870-1890. Issues of social class and curriculum in Zamora Linmark's novel Rolling the R's. I went to the protest and all I got was this lousy T-shirt: media representations, sweatshops, and the Abercrombie & Fitch controversy. Giving voice: Le Ly Hayslip's When Heaven and Earth Changed Places. Hanbok : a symbolic expression of Korean American identity, gender roles and culture - a study of Korean Americans at Duke University, Durham, North Carolina and University of California, Los Angeles. The East West Players Archive, 1965-1992: twenty-seven years of Asian American theater. Growing up brown in America : the Filipino-Mango Athletic Club of San Francisco 1938-1955. Japanese American women and the Women's Army Corp, 1935-1950. Family matters: a historical study of the Asian Pacific Lesbian Network. Interethnic and interracial relations in the short stories of Hisaye Yamamoto. Kona coffee land: a Japanese American farming community in Hawaii, 1890-1941. Immigration and life satisfaction of Filipino American World War II veterans in Los Angeles City. Contemporary Japanese migration to the United States : nonimmigrant-dominated and female-dominated flows. Narrating the absence of race and responsibility in Cynthia Kadohata's In the Heart of the Valley of Love . Japanese American women and the Student Relocation Movement, 1942-1945. An urgency in our insurgency: perspectives on the formation and maintenance of an Asian American Music Collective. Issei women: life histories of six Issei women who participated in social and other activities in Los Angeles , 1984. Visual Communications photographic archives project. Negative stereotypes of Japanese war brides: an outburst of Japanese frustration. An evaluation of a domestic violence prevention media campaign in the Korean American community of Los Angeles. Juvenile delinquency in the Korean American community of Los Angeles : an examination of the phenomenon and the reasons for occurrence. 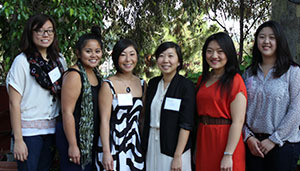 Transformative education and Asian American feminist pedagogy in the general survey course on Asian American women. Korean tenant rice farming in Glenn County, California 1916-1925: an economic niche for an immigrant community in transition. A study of personality characteristics in later life among Issei by means of T.A.T. : a cross-cultural perspective in social gerontology. 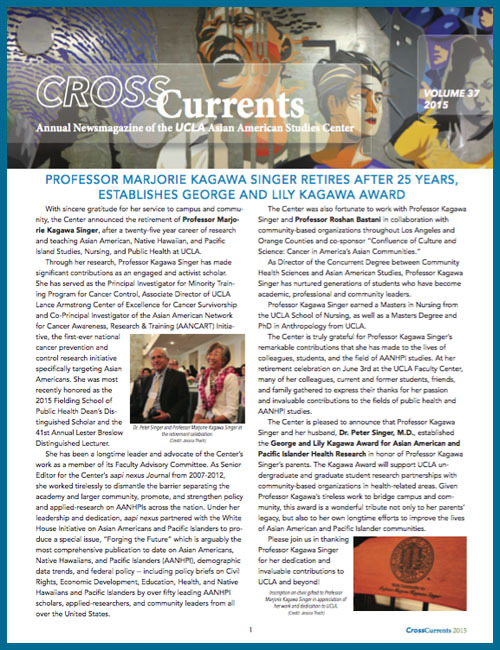 Japanese Americans and the movement for redress: a case study of grassroots activism in the Los Angeles chapter of the National Coalition for Redress/Reparations. Fighting fire with fire: lessons from the Laotian Organizing Project's first campaign. Locating oppression and resistance: Asian Americans and racist violence. At the threshold of the golden door--ethnic politics and Pan-Asian Pacific American coalition building: a case study of the special 1991 California 46th Assembly District primary election. Beyond "hanggang pier only": Filipina American war brides of Seattle , 1945-1965. The evolution of gang culture in the Korean American community of Los Angeles . The scopic regime of Angel Island and the heterosexualization of the Chinese American subject. "What was given, given over? ": competing subjectivities in Myung Mi Kim's "Into Such Assembly". Hu-Jee: the forgotten second generation of Chinese America, 1930-1950. Feeding the body politic: multiculturalism at the Los Angeles Tofu Festival, 1996-2002. Political redistricting in L.A. 's Koreatown: establishing communities of interest through cognitive mapping. Images of early (1848-1945) Chinese in literary works written by Chinese American authors. Learning from the past: a retrospective look at the Chol Soo Lee movement. The mountain movers: Asian American women's movement, Los Angeles, 1968-1976. Filipina pioneers: the Pinay in Stockton, California, 1929-1946. A study of Korean-born adoptees: identity, self-esteem, and relationship with adoptive parents. Cultural production and public art: the destruction and impending decline of a political project. Winston's dream & Thicker Than water: the makings of an Asian American musical. The effects of curriculum on behavior of At-Risk Asian Pacific Islander adolescents. Suspicious minds: a data-based approach to Chinese exclusion in the Midwest , 1911-1940. A study of overseas Japanese nationals' voting rights movements: the case of the Japanese Overseas Voters Association (JOVA) in Los Angeles . Reconsidering Japanese war brides in 1940s-1950s U.S. history. Nisei political activists: the stories of five Japanese American women. Reinventing the wheel: import car racing in Southern California and a new identity for Asian American youth. Barriers to health care access and utilization for Vietnamese nail salon workers in Southern California . Open-minded conservatives: a survey of autobiographies by Asian Americans. Class conflict and linkage: Asian nurses into the United States . The effect of ethnicity on work attitudes: a study of Japanese American employees of Japanese multinational corporations in Southern California . Hailing the diasporic nation: a cultural history of Tagalog/Filipino in the United States . Evolution of a Japanese American enclave: Gardena California --a case study of ethnic community change and continuity. The UC Riverside mural: art for people's sake. The political behavior of Korean Americans towards Proposition 54. Korean American children's picture books: critical analysis and annotated bibliography. Generational transition within Korean churches in Los Angeles . Securing their future: Filipina room cleaners in San Francisco 's hotel industry. Colonial amnesia: Filipino "Americans" and the Native Hawaiian sovereignty movement. The past and the present: Asian American women in medicine. David Henry Hwang's M. Butterfly: subversive text or 'Orientalia for Intelligentsia'. The failure of gender transformations in Bharati Mukherjee. 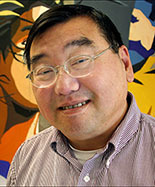 Livingston Sansei: rural perspectives on group identity and community. Breaking silences and remaking the self in Wanwadee Larsen's Confessions of a Mail Order Bride . The S and other stories. Acculturation of post-war Japanese females in Southern California . Asian American students in the San Francisco State College strike, 1964-1968. Community health planning: a proposal for an alternative social work model for community development in immigrant Asian communities based on concepts of objective life status, subjective life satisfaction, and social support aimed at high quality of life. International Amerasians: third culture Afroasian and Euroasian Americans in Japan . Imperial tools: Coca-Cola and the mighty orange juice factory, 4549-4696. Online and unplugged: Korean American teens and cyberspace. Feeling implied: the uncanny world of Hapa writers and their families. From Little Tokyo to Bronzeville and back: ethnic communities in transition. “Ganbateando”: A history of the Okinawan Peruvians in Los Angeles. The contributions of Chinese Americans to the educational development in Taishan. From their own voice : mixed heritage Asian Pacific Americans. Race and gender differences in attitudes and behaviors related to academic achievement. Chinese Americans in San Francisco and New York City during the anti-Japanese war: 1937-1945.